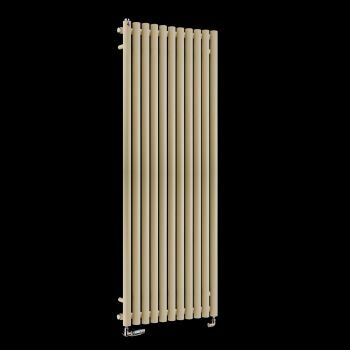 Circolo tall very high output matt quartz sand brown radiator 1800mm high x 590mm wide. 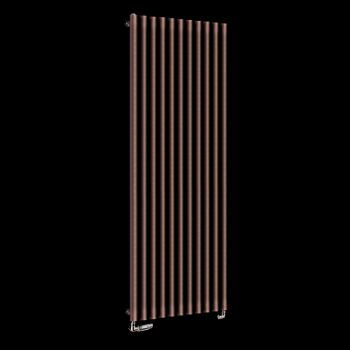 Funky and modern, this tall tubular column radiator has a very high output of more than 10000 BTU of heat. The full height of 1800mm is visually appealing on standard height UK walls. This is because the radiator can be placed centrally on the wall creating good visual symmetry. 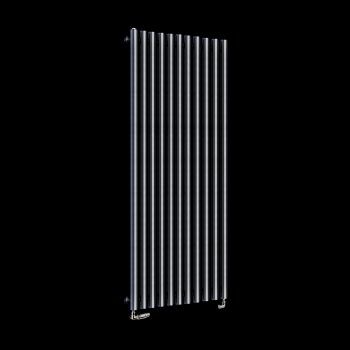 This Circolo designer radiator model is ideal for medium to large sized kitchens, living rooms, lounges and bedrooms in the home.